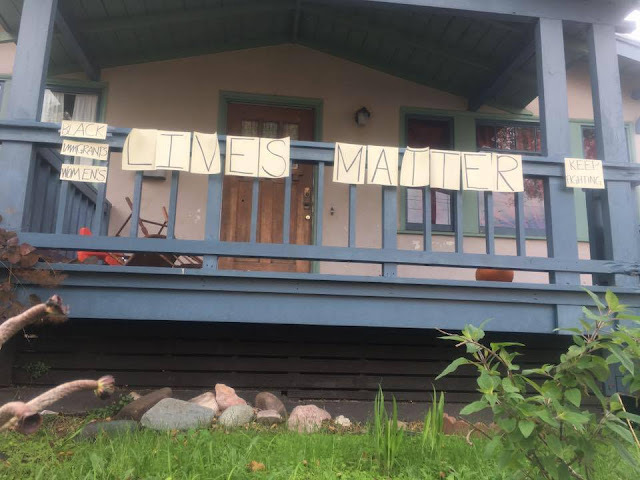 T put this up on our house around midnight as the election was being called for Trump. I started composing this Tuesday afternoon when the world seemed like a different place. It's starting out the same as I'd intended, but the ending is not what I expected. I did not vote for the first woman president of the United States. That much should be obvious since as of Tuesday night there will not be a first woman president of the United States for at least four more years. However, I did not vote in the hopes of electing the first woman president of the United States. I voted for the candidate I felt would be the best leader for our country. I voted for the person I believed was the most qualified, and the most able to lead us forward. I voted for the candidate I most believed in and most trusted. I voted for the best available person for the job. If she had won, she also would have been the first woman to become president of the United States. There's a lot of anguish and a lot of fear associated with a Donald trump presidency. There's a lot to digest today and in the coming months. There are actions to plan and to take. There's some grieving too. 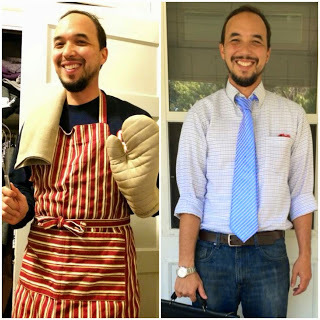 The most immediate concern for me, after thinking of my daughters and the fear I have for my own life as a Latino male, was that I had to get up and teach in the morning. It's probably been hard for people in many professions to get up and go in to work. My Facebook feed saw a few friends who called out Wednesday morning. I didn't want to go to school. I didn't want to go anywhere. I was afraid. Not for my own safety, but for my students. Like the members of the field they are training to join our students are mostly women. Our profession, and our program are also home to a greater percentage of LGBTQ people than are found in the general population. Being in the Bay Area, we also have more people of color than the demographic studies of interpreters would predict. All together this means that our student body is primarily made up of the exact people who have the most to fear from a Trump presidency. I had no idea what to say to them. I could muster on short notice. I got up Wednesday morning dreading the idea of facing them. My lesson plan seemed inadequate to either address or to paper over the events of Tuesday night. The difference in being a teacher having to get up and go to work on a day like this is that you can't hide. You can't tele-work. You can't hide in a cubicle. At the college level you can't just bail and hope someone finds a sub. You have to show up, and not only do you have to show up, you have to lead. 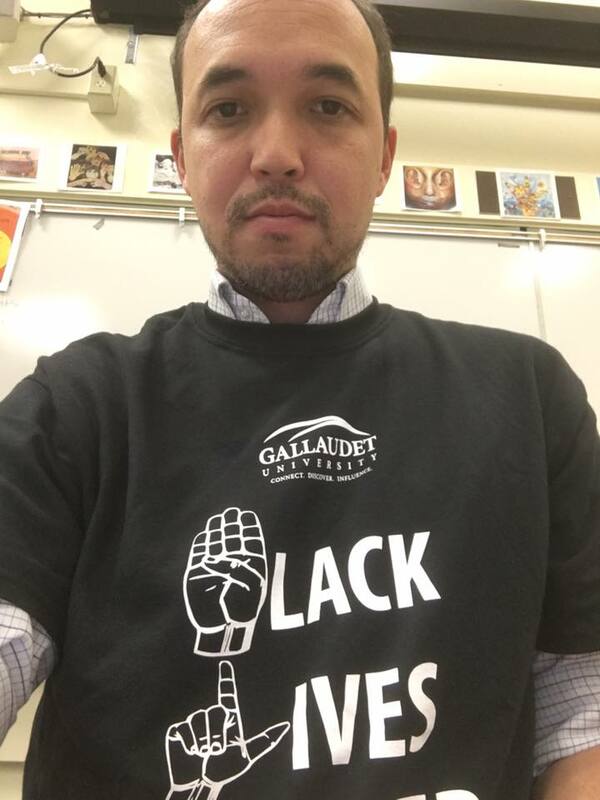 Sure, these students are adults, even if some of them are young. But they still look to you for some kind of guidance, some show of leadership. In my new job as the figure head of my tiny program I feel this weight more than I did in the past. I couldn't just stand up at the front of the room and start going over Monday's homework. But I didn't know what to tell them. I arrived early hoping to finish up a power point but I kept getting distracted by my feelings of dread and powerlessness. There was nothing I could do to change what had happened. There was nothing I could say to reassure them. So instead of the power point I started a project I had been putting off since I'd taken the position this fall. 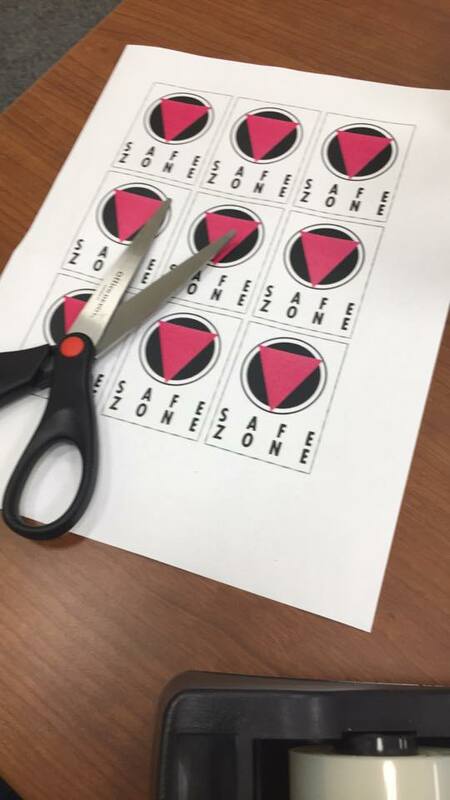 When I was in grad school many of my professors had small signs posted outside their offices that said, "Safe Zone" around a pink triangle. The idea is to show that your office is welcoming to LGBTQ students, that they don't have to hide who they are or worry about how their identity might impact their academic progress. So I printed off a sheet and posted them in the areas I control, my class room and my office. It was a very small gesture, but it was the one thing I could do to try to stem the tide of hate that has taken over our country. It was my attempt at showing my students that no matter what happens over the next few years, they belong here. When the first student arrived she asked me if I was OK. I choked up trying to answer. I realized I hadn't yet spoken to anyone since going to bed the night before. I hadn't interacted with another person until that moment. It was hard to use language through the emotion of it. We started class at 9:00am. I stood up and told them that I wasn't prepared to be there. I told them that my head and heart were not fully present. I apologized for not being able to stand up and lead. I confessed that I didn't know how they were feeling or whether I should try to go on as if it were a normal day, or crumble to a heap in front of them. I told them I was tired because I'd stayed up until it was called. I also told them that they had been in my thoughts that night. I recognized that each of them represented a vulnerable community. I told them that I cared about them, that their safety and security were important to me. I told them I felt helpless. I showed them the little signs I'd made in an attempt to exert some measure of control. The country may turn on them, threaten their marriages and their bodies, but this building, these rooms would remain safe. We all cried. My cousins reminded me on Wednesday that our family has been through worse. Our grandparents were put in camps during WWII. Their home and livelihoods were literally stolen by the Navy. They rebuilt from nothing and laid the foundation for us to become who we are, a Yonsei generation of artists, writers, and teachers. Hopefully things won't get that bad during Trump's reign. We did get through our lessons for the day. There was more catharsis and more tears at various times. I got up in Thursday and did it all again with my second year class. As is usually the case, I think that honesty about my misgivings was the best approach. The hardest part of this job isn't the academics, it's everything else. We get up and do it because we have accepted jobs that include trying to lead a younger generation. Standing in front of that room, addressing these students who are just as scared and unsure of the future as I am has helped me deal with my own anger and frustration. Finding the strength to be vulnerable with them has helped me find the resolve I will need in the coming years.